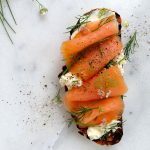 Quick and Easy, 5 Ingredient Smoked Salmon Appetizers with Italian Mascarpone Cheese, Dill and Chives to Knock Your Socks Off! The best way to simplify your holiday entertaining is to prepare a tray of appetizers in advance. Things that can be chilled overnight, and ready to set on the table the moment your guests arrive! 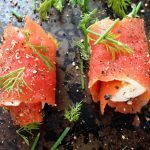 One of my favorite things from that antipasto platter are these gluten free, easy smoked salmon appetizers! Let me tell you how simple and amazing these little salmon bites are! Because smoked salmon is packed with flavor, needs no salt added and comes pre sliced in a package just ready to be served, my prep time is essentially non existent. So all I needed to do was to scoop some creamy Mascarpone (Italian cream cheese) on top of each slice of salmon, then sprinkled it with fresh chives and dill and roll them up in bite size rolls. Freshly cracked black pepper is all these appetizers need as a final touch, and you are all set to entertain like a Boss! I’ve also made these with this whipped goat cheese and they were equally delicious. You know what goes well with these appetizers? Note worthy: using wild smoked salmon here makes all the difference in the taste and texture of these appetizers. As I always say, it is the simple things kids, the magic of simplicity and perfection of imperfection. 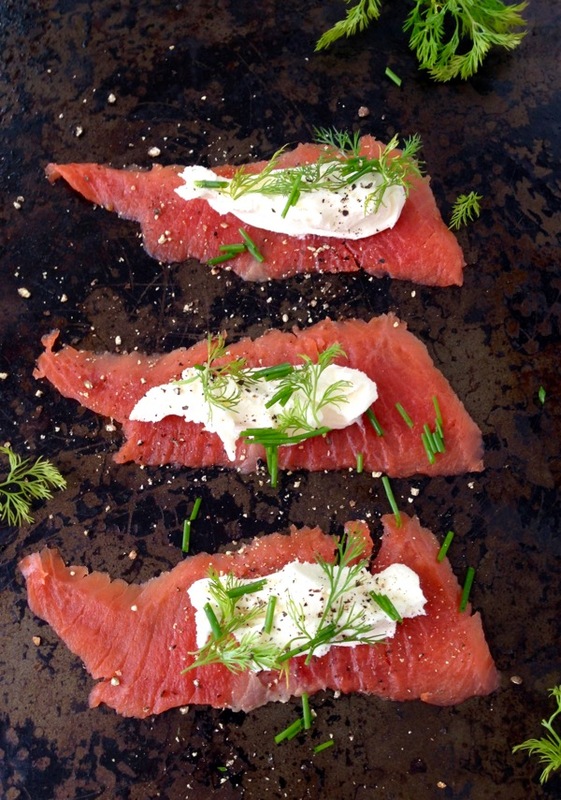 Quick and Easy, 5 Ingredient Smoked Salmon Appetizers with Mascarpone Cheese (Italian cream cheese) Dill and Chives! 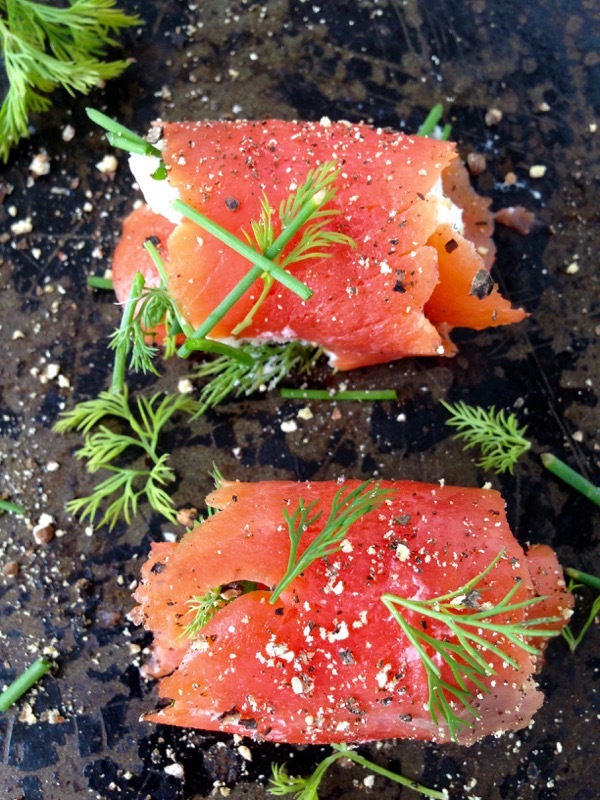 Spread the slices of smoked salmon on a cookie sheet or cutting board. Spoon a dollop of the mascarpone cheese on top and a sprinkling of chives and dill. 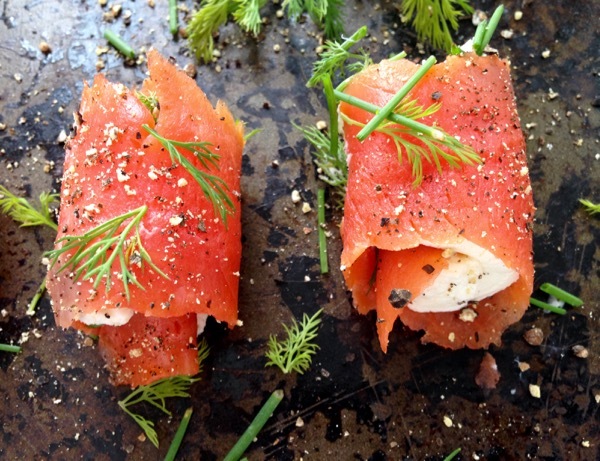 Gently roll up each salmon slice to envelop the cheese. Repeat with the remaining salmon and place on a serving tray. 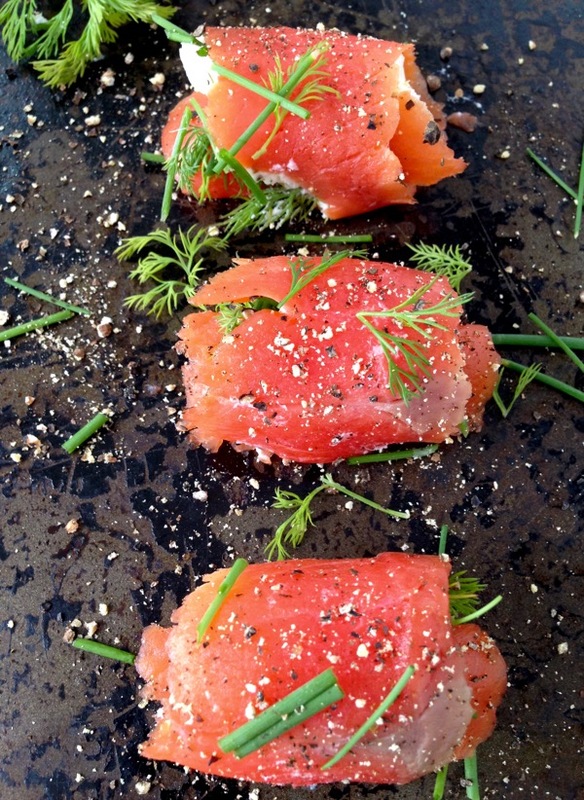 Finish with a nice sprinkling of freshly cracked black pepper and garnish with the fresh dill and chives. I always put too much on myself and then slave away while others are having fun. Let’s agree that in 2016 we’ll be kinder to ourselves. Your smoked salmon looks so inviting! Merry Christmas to you both and your babies! I’m all about that Maureen ! Merry Christmas to you also, and to John & Charlie, lots of treats and Happy Healthy New Year ! The SON was complaining I never have APPETIZERS! SO, this is perfecto in TWO ways as I’m GLUTEN FREE!! 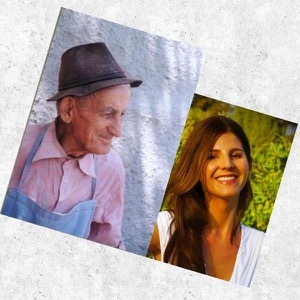 Nice to meet YOU……….I am known in the BLOG world as LA CONTESSA!MARRIED A REAL ITALIAN and lived outside FLORENCE or FIRENZE for three wonderful years………miss it daily!Pop over to me and have a good laugh or two! Nice to meet you as well, welcome to the blog where I document stuff from around the shack in California. I’ll pop over your spot soon 🙂 Ciao ! I love really simple appetisers like this – they look so effective, but so easy to make! Always a winner in my book too ! the simplest dishes are sometimes the best aren’t they? I love simple smoked salmon bites, and even better if they can be made in advance. Absolutely, I’m all about simple, easy, quick so i can relax with everyone else too! 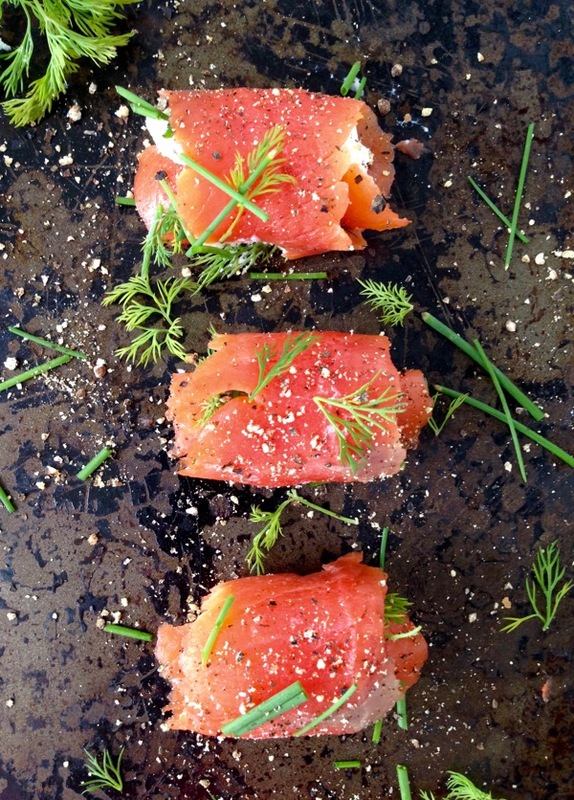 This is SO my kinda appetizer; I love smoked salmon with just about anything. 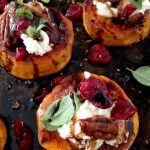 I especially loving this one as a holiday party appetizer, the colors and flavors are all about celebrating! 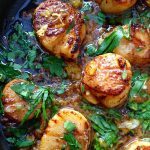 Great job with this recipe!!! Thank you , funny how the simplest of things turn out to be the best most of the times. Looks delicious! Gorgeous appetizer for entertaining during the holidays! I might try it! Thanks for sharing! Oh I love these! I’ve made them with cream cheese but I love that you used mascarpone. Definitely going to try that next time! This is just what I need for Christmas Eve! My mom used to do the “Seven Fishes” meal which we all loved, but now the family is all over the place. When I host, I don’t go to quite that extent, but love to do something with fish/seafood to keep a bit of tradition. These will be perfect for my Christmas Eve gathering! Merry Christmas! Patricia, that is how I think also. And then i make a Cioppino with bruschetta as the main dish and Merry Christmas & Peace to The World ! I love salmon! Adding cream cheese is always a winner in my books! 🙂 Merry Christmas! This is my type of appetizer, I am making this for Christmas! Luckily I haven’t had to do Christmas dinner for a few years now. I should have done it last year but ended up being horribly ill. As it was only the two of us, it didn’t matter too much. Getting organised with appetisers like this sounds like a great way to go. What a perfect finger food appetizer. The mascarpon makes it creamy and I’m sure delicious! Oh yes, Mascarpone is the ruler of cream cheese in my world ha ! This is one of my favorite appetizers! I remember my mum making these salmon rolls and also Russian salad and ham rolls. They look perfect! Oh yes, I remember those too, fun loving times, the salmon was always my favorite ! Happy holidays ! This sounds wonderful!! We use our salmon usually to make a breakfast casserole for Christmas morning. The way the grandsons eat we couldn’t serve it like you do — we’d go broke trying to feed them. We will try it your way when it’s just hubby and me. Love this and love the giveaway!! Wonderful!! What a fabulous appetizer! My husband would love this. Must make it, soon! Yes you must, those are the first thing to go on our Holiday table. These look absolutely delish! 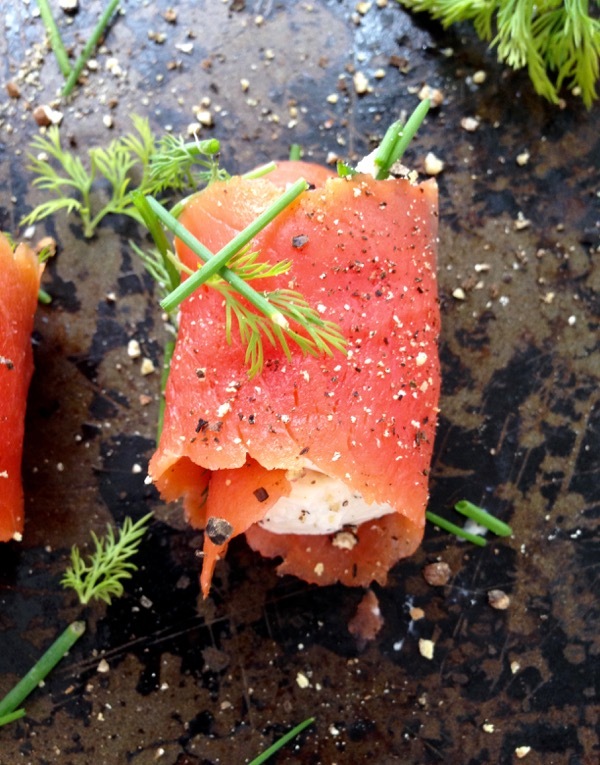 Love fun ideas with Smoked Salmon! Thanks Anna, hope everyone will enjoy them and that you have a wonderful time filled with Peace, Love & Joy with all your loved ones. Thanks Anna, I put cream cheese and capers on the smoked salmon and roll them up and slice them into 1 inch pinwheels. Plate them and top with chopped red onion. They are a huge success! I’ll try your recipe – sounds very good BUT I do like the presentation of the pinwheels. 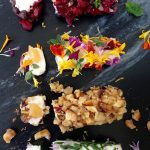 How would this work with goat cheese – I have a friend that cannot tolerate cow’s milk cheese. I have never made anything with smoked salmon before but I love it! Are these okay to store in the fridge until time to be served or is it better to make them right before serving? Hi Whitney, these are perfectly fine made a day ahead and store wrapped in foil or in a container. Add the fresh herbs on top before serving. Enjoy!